Americans have long identified themselves with material goods. In this study, Paul Mullins sifts through this continent's historical archaeological record to trace the evolution of North American consumer culture. He explores the social and economic dynamics that have shaped American capitalism from the rise of mass production techniques of the eighteenth century to the unparalleled dominance of twentieth-century mass consumer culture. The last half-millennium has witnessed profound change in the face of a worldwide consumer revolution that has transformed labour relations, marketing, and household materialism. This pathbreaking research into consumption examines the concrete evidence of the transformation in individual households, across lines of difference, and over time. 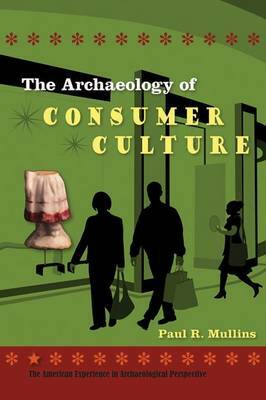 Mullins builds a case for how interdisciplinary scholarship and archaeology together provide a foundation for a rigourous, sophisticated, and challenging vision of consumption. Given that the material culture so often encountered by historical archaeologists speaks to the consumption patterns of past peoples, it is an essential and overdue addition to the historical archaeologist's canon.